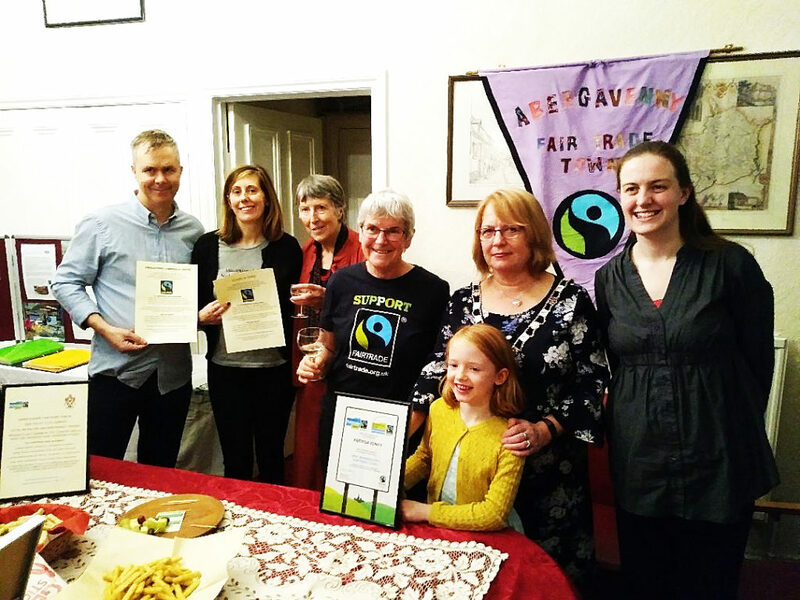 The Abergavenny Town Mayor, Councillor Teslin Davies, welcomed Town and County Councillors, members and supporters of the Abergavenny Forum to the Mayor’s Parlour for a Reception to celebrate the renewal of the Abergavenny’s Fairtrade Town Status. The Town Council has been working with the Fairtrade Forum since 2006 to first achieve this status and subsequently to maintain it. Aileen Burmeister, the head of Fairtrade Wales, spoke about the crucial role of Fairtrade towns such as Abergavenny in Wales achieving the first Fairtrade Nation status in 2008. The Mayor acknowledged the support of local businesses and community organisations who are the crucial third partners in the Fairtrade Town criteria. She presented certificates to recently signed up local organisations Christchurch Govilon, two Bed & Breakfasts, Fizzyville craft shop, The Abergavenny Community Centre, the staff at Wool Croft and three cafes Luigi’s, Coffee Pot and Gilly Beans. Refreshments were fairtrade wines, local apple juice, Welsh cheeses and fairtrade snacks.